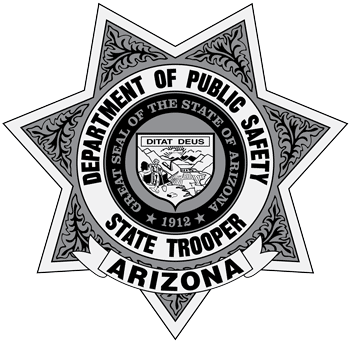 Pinal County — During the morning of September 2, 2018, two DPS helicopters, Ranger 54 and 58, were requested by the Pinal County Sheriff’s Office (PCSO) to aid with the extraction of 16 hikers who became stranded on cliffs and ridgelines due to flooding within Aravaipa Canyon. The Ranger 58 crew flew through the canyon and located two campers on a plateau. During that flight, the crew observed additional hikers along the flooded canyon in need of extraction. The growing number of people needing rescue and the difficulty associated with the rugged terrain, required an additional Ranger crew  to respond. Search and Rescue deputies and technicians with the PCSO worked with the Arizona Department of Public Safety’s (AZDPS) helicopter crews utilizing several rescue techniques. Six people were flown out by a short-haul method, which utilizes a 150-foot cable to carry people externally below the helicopter. Ten of the hikers were removed from the canyon either by the helicopters landing to load passengers or using a hover ingress. Hover ingress is a technique in which helicopters hover while passengers are loaded onto the aircraft. A total of 16 people were air lifted from various locations throughout the canyon and were all turned over to the PCSO and Kearny Fire Department. The Ranger crews flew nearly eight hours with close to 13 hours of mission time. The helicopters were re-fueled on-site by the AZDPS’ fuel truck which reduced the number of hours required to complete the rescue mission. “This rescue is another example of the exceptional work of our Arizona State Troopers and the cooperation of Arizona law enforcement and first responders who rescue people that are stranded, lost or injured beyond the reach of normal emergency services,” said Lt. Colonel Ken Hunter of the Agency Support Division. “This was an amazing show of teamwork. The monsoon rains caught these hikers by surprise and we are glad they called for help. Our deputy was hoisted down into the canyon by DPS and helped get those stranded hikers to safety,” said Sheriff Mark Lamb, Pinal County Sheriff’s Office.